ickle (left) is a smart and curious toof who loves to read books. Other interests include cutting coupons, nibbling on furniture, and David Bowie. Lardee (right) is the loveable, slightly pudgy toof who can be found following ickle around the house. If in need of a toy, Lardee has a magical red bag with an endless supply. 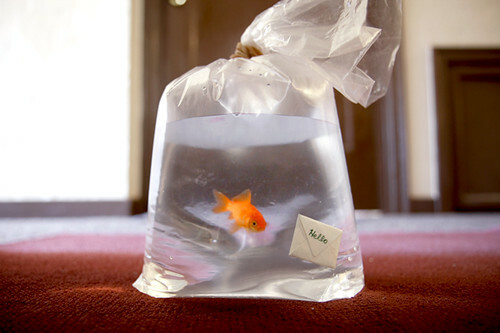 Carrot is a traveling goldfish that is staying with ickle and Lardee.